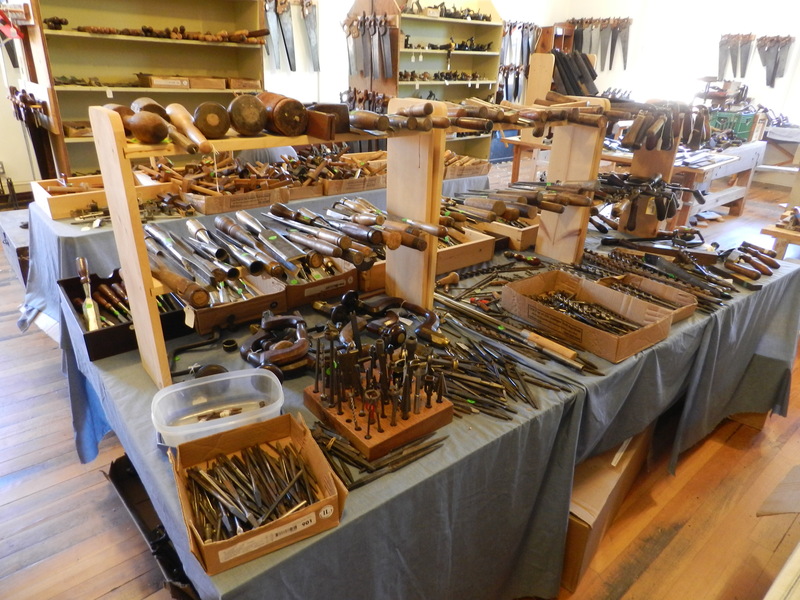 The Woodwright’s School is already hallowed ground for a lot of woodworkers, but hovering above workshop is Ed Lebetkin’s Antique Tool store…. 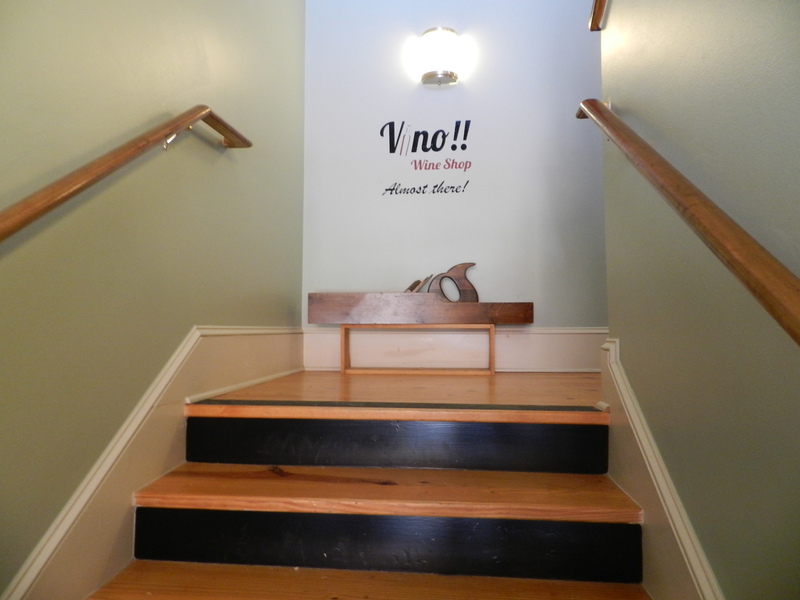 Before heading up there, I was warned to leave my wallet behind as there would be a lot of temptation at the top of the stairs….Ed’s store is filled with just about every kind of traditional woodworking tool and accessory you could want. 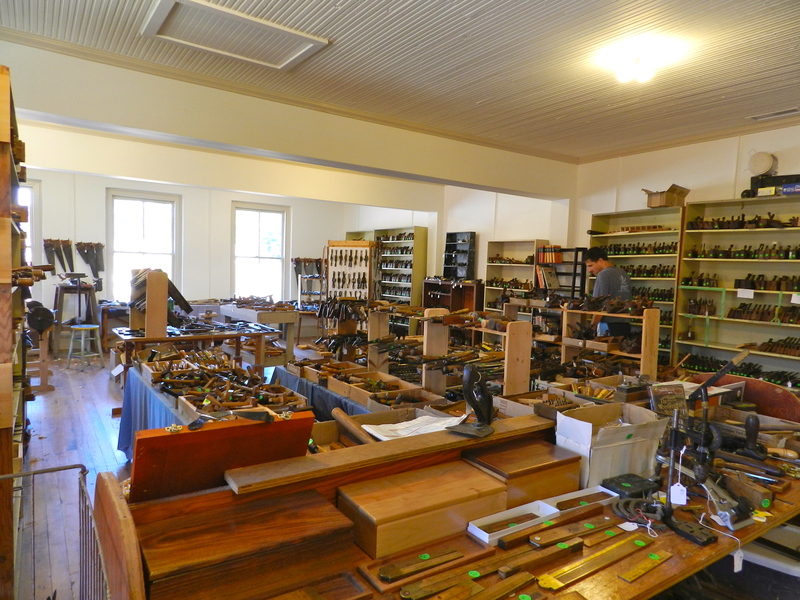 An amazing assortment of chisels, planes of every kind, marking gauges, braces and bits. 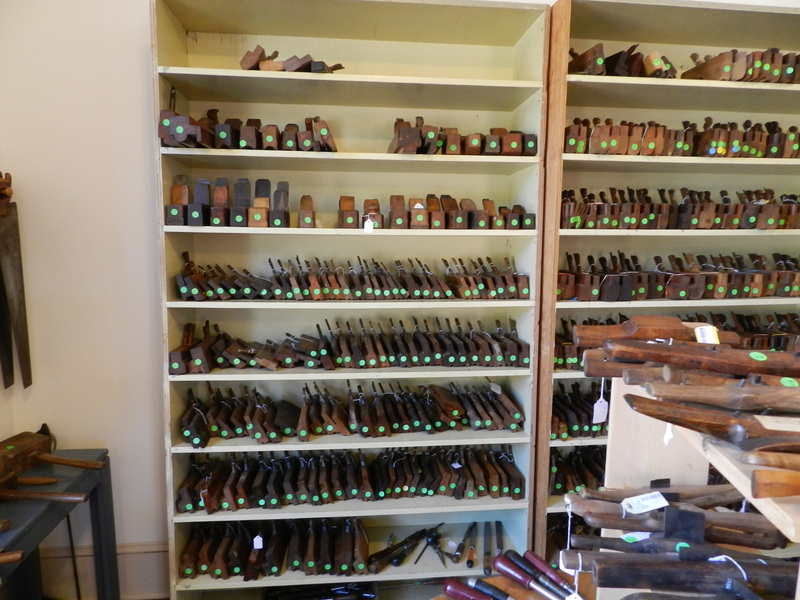 One whole wall of the shop is filled with molding planes . Chisels, mallets, auger bits etc. During my visit I was enamored with an unusual boring machine. 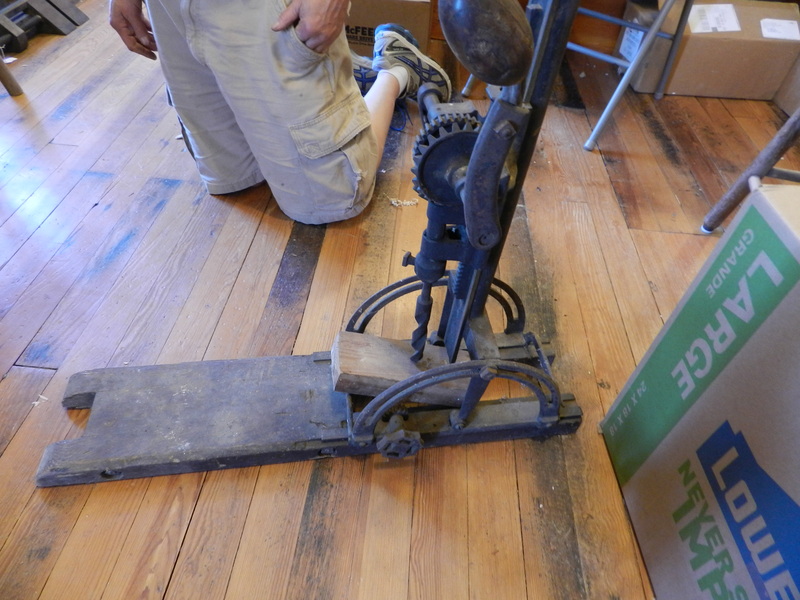 The castings on the tilt mechanism look similar to my old Swan boring machine but what made this machine unusual was the mechanism to advance the business end of the unit horizontally via the large knob on the bottom — rather than the whole dance of shimmying yourself and the unit up the timber and re-aligning the auger to make the next hole. The runners and support structure for it was all metal which leads me to believe it was a later design towards the end of that era. I tried my best to get out without buying anything — especially since the Nashua Live Free or Die Tool Show and Auction is coming up in a couple of weeks, but it’s like Ed knew I was coming. 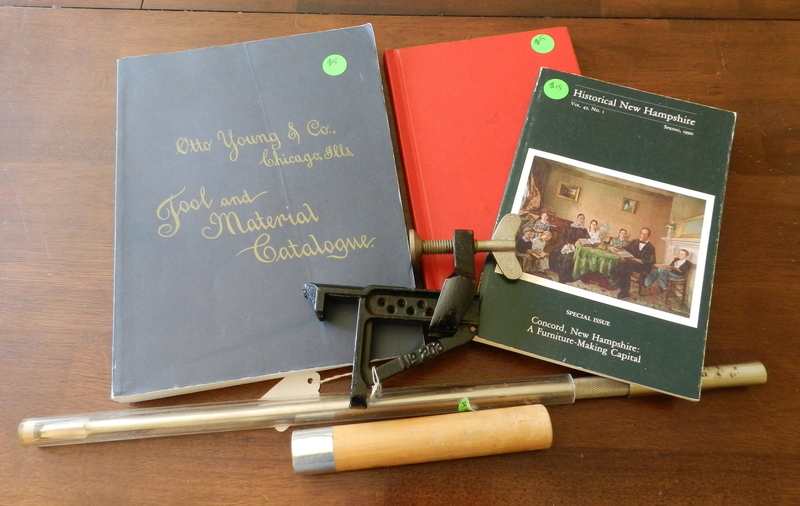 I found a great reprint book on Concord NH furniture makers, a book on the Shaker Barn full of tools at the Shelburne Museum in VT which I wrote about here, a MWTCA reprint of a tool catalog, a nice old Stanley auger bit extension for use with a bit brace, and a Stanley 203 bench clamp. This neat little clamp is something I’ve looked at in the past — and makes a nice addition to any bench with a sliding deadman. I look forward to giving it a try.